Great success obtained from earlier models, gave us rise to design a floorstanding model in Sensorial collection, starting from same talent of smaller sisters but with more capability to reproduce, in a larger way, entire range of frequencies. 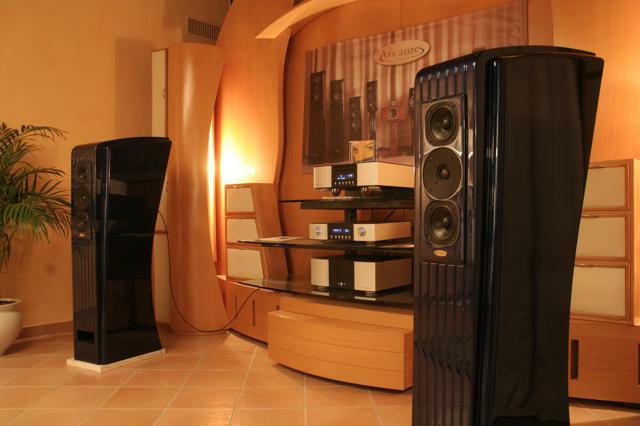 So, in 2005 was born one star of ours, MIDI Sensorial, which won, same year, distinguished Blue Note Award, issued by famous “Enjoy The Music” U.S. magazine, as the best loudspeaker in absolute of global hi fi market, within its price range. For MIDI Sensorial we adopted same mid-high frequencies section of MINI Sensorial, while for lower bass frequencies we agree to use one 11” woofer, with double cavity configuration, in SOL model utilized already. Come at new MKII version in 2013, MIDI Sensorial continues to be regarded from critics and public as a true extraordinary loudspeaker, a pure work of art, regardless of price and belonging segment.